An Elks Lodge that lost its liquor license in 2014 due to more than 100 police incidents there, hopes to get a new one, with borough council's help. A public hearing on the subject is scheduled for 7:30 p.m. Wednesday during Borough Council's work session on an application by Montgomery Lodge No. 1271 I.B.P.O.E. Pottstown has two Elks clubs. The second, Lodge No. 814, is located at 61 E. High St. and is not involved in this matter. 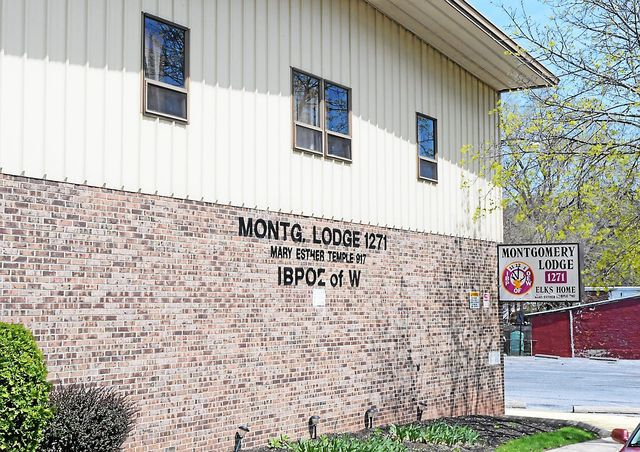 According to a legal notice published in The Mercury and documents provided to the borough, the Montgomery Elks club is seeking council's support in transferring a club liquor license last located at Gilbertsville Fire Company No. 1 in Douglass (Mont.) to the lodge at 605 Walnut St. According to a Dec. 3 letter to the borough from Norristown real estate broker Salvatore Gambone, a new law "allows the receiving municipality the option to either accept or reject the transfer of a license from another municipality within the county." "Pottstown borough, in granting or withholding its approval, must consider the health, welfare, morals and safety of its residents," Gambone wrote. All things things were issues several years ago when "officers responded to 129 incidents of disturbance near the property between May 2012 and May 2014, including one instance on Feb. 2, 2014, when a patron was shot immediately outside and police were 'attacked by an aggressive and antagonistic crowd while the Lodge’s security personnel stood by and did nothing' while officers were trying to administer first aid to the victim," according to a Nov. 9, 2015 article in The Mercury. The incident resulted in the injury of two Pottstown officers who were out of work for some time with an abdomen injury and a concussion and was cited by the judge who refused to reverse a liquor control board decision to refuse to renew the license. Pressly Day testified in the hearing that upon assuming the Exhalted Ruler position, he fired the previous security firm, hired a new one, changed security protocol, had lights and cameras installed outside the building in addition to a security patrol and had an additional security guard inside checking ID cards and monitoring behavior. Those measures did not convince the liquor control board to renew the license. Contacted Friday, Day said he is no longer connected to the club. Attempts to reach club leadership were unsuccessful. Attorney Doug Breidenbach, who represented the club in its fight to keep its license, did not return phone messages left at his office.